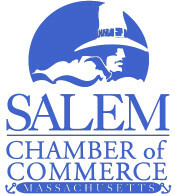 Welcome and thank you for your interest in the Salem Chamber of Commerce! You can find detailed information on joining the Salem Chamber, membership benefits and opportunities, as well as the different membership options under the header "Join" on this website. For questions, please do not hesitate to contact the professional staff in the office at (978) 744-0004. Participants in the enhanced membership program are recognized year-round at major events, on our website, and in Chamber programs and publications. The goal is to ensure member involvement with the greater Salem business community and community in general in an optimum fashion while providing a solid foundation for the Chamber to operate at its highest potential. Want to learn more? We will happily meet with you to discuss enhanced membership options.